Tamera Alexander is a bestselling novelist whose works have been awarded and nominated for numerous honors, including the Christy Award, the RITA Award, and the Carol Award. 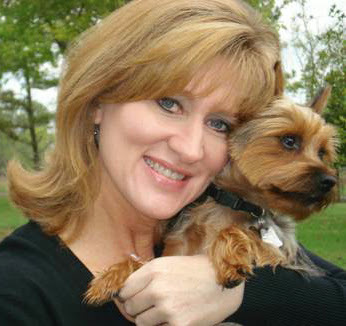 After seventeen years in Colorado, Tamera and her husband have returned to their native South and live in Nashville, Tennessee, where they enjoy spending time with their two grown children, and a ten-pound silky terrier named Jack. 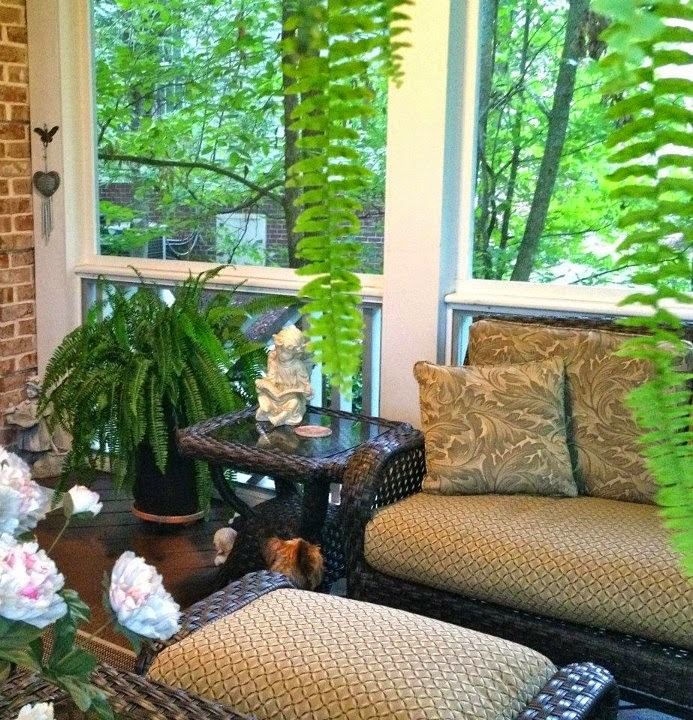 Tamera's always wanted a screened-in porch, and look...she finally got one. The perfect outdoor office! More at www.tameraalexander.com. 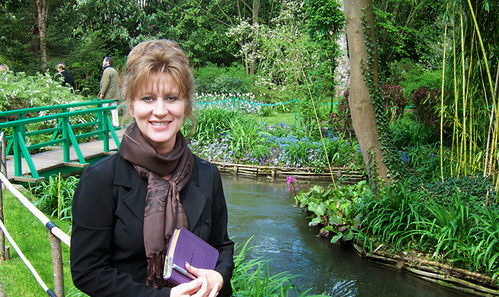 Tamera doing research at Claude Monet's gardens in Giverny, France. Wow, Tammy, I love your backyard! (and that cute little dog.) And what fun that you included a photo of the Claude Monet gardens. Gorgeous. 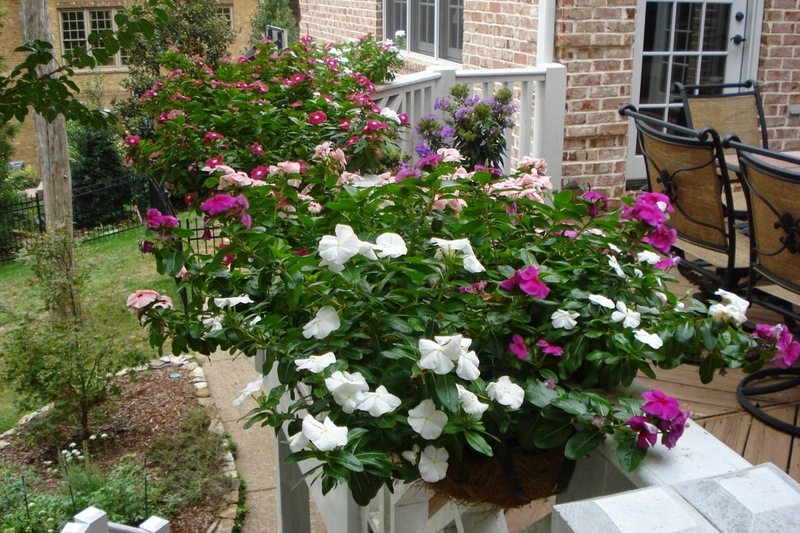 I come from a family of tree-tenders, landscapers, gardeners and farmers, so gardens are a big topic. Thanks, Crystal. 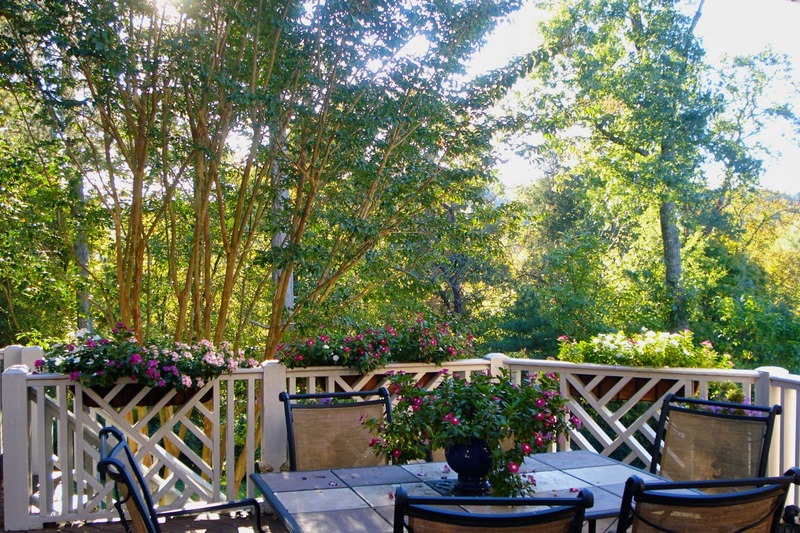 We are SO enjoying this backyard and the surrounding countryside. Just beautiful, and a big change from Colorado (which is also lovely). We take walks up into the surrounding hills in the evenings and always see something new. Last night it was a beautiful, iridescent lizard. LOL! A few weeks ago, we happened upon a 1800s cemetery. Lovin' it here! Our whole fmaily is planning on going to France next year and the one place we're set on going? Monet's garden! Thanks for the sneak peek. What a cute little Yorkie! Thanks for letting us 'visit' your back yard. What a lovely blog. I loved looking up all the authors and seeing their pretty gardens. Wow, I have garden envy! Thanks, friends. I must say...I'm REALLY ready for spring this year so we can begin enjoying our "outdoor room." However we're not quite there yet. We're expecting snow today here in Nashville. I have garden envy too.. so lovely!! Crisp, inviting and relaxing. Perfect for a writing inspiration. Pat, I'm jealous of you living near Longwood Gardens! We took our kids there while on vacation years ago and just loved it! Thanks Chaos-Jamie! Yes, a terrace or deck, whatever works. We've had tons of rain recently--which I'm not complaining about because water is a garden's lifeblood--but I do look forward to heading out there again once the skies clear. And Deb, your backyard is already gorgeous and it hasn't even hit its full stride yet. 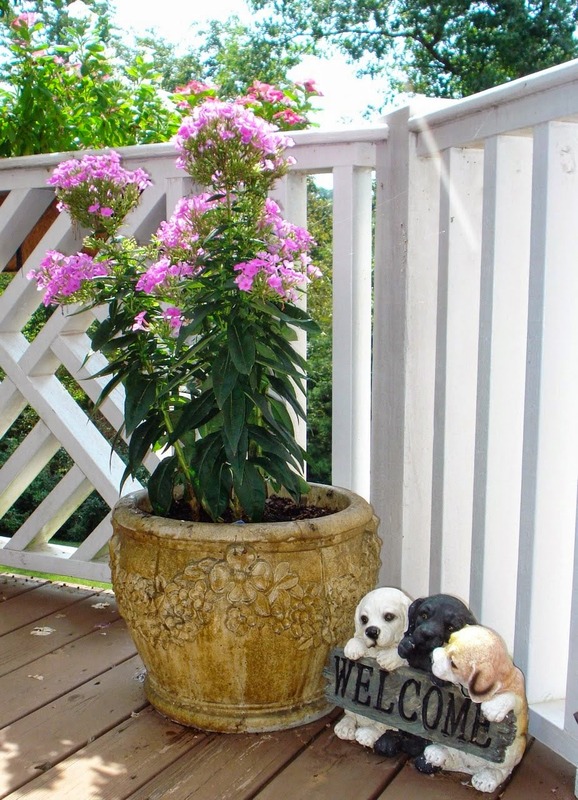 Love what you and Ken do with container gardening. I need to learn more about that. Thanks for doing such a great job of hosting this site, friend! I just started reading Tamera's books and am really enjoying them. It is fun to see her garden. Really beautiful, I want my patio to be like hers! That is simply gorgeous! I wanna bring my books and hang out there! Except I wouldn't get any reading done because I'd want to talk to Tamera! Your backyard is beautiful! Thanks so much for sharing it with us. 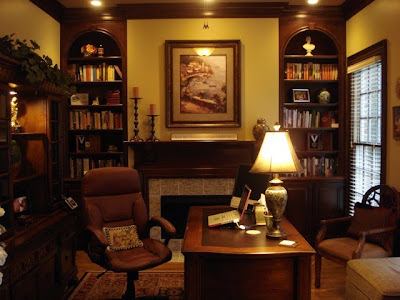 These pictures are lovely--what an inspiring place to write! I loved your book From a Distance...and I'm looking forward to getting to The Inheritance! Thanks for such wonderful novels and a peek into your gardens (and the gardens in France). Your garden looks like one you'd see in a designer showcase magazine. 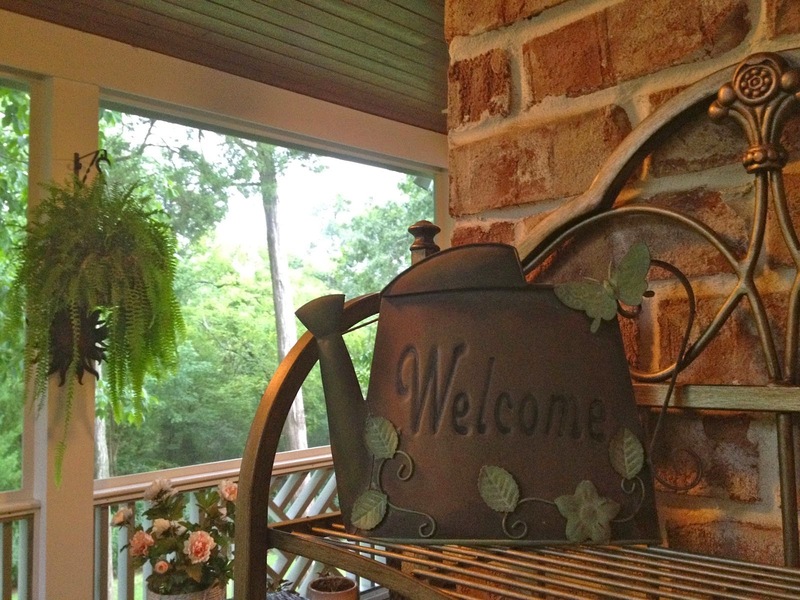 Do you sit out on the patio and write? All the pictures on this link are lovely. I would love to sit on my patio and write, but it has a long way to go before that happens. Besides, when I'm out there, the birds can't come to the feeders. But I have certainly reveled in the colors here in Nashville this spring. Wow! Lovely gardens and what a wonderful inspiration! Claude Monet's garden is beautiful too! I wish I had more time to garden. What a beautiful yard! Have to say, you are one of my favorite authors :) Thanks! It is definitely "green-up time" here in Wichita, Kansas. We have had SO MUCH rain lately. It seems as though the the trees went from bare/a few buds to COMPLETELY covered in big leaves over night!! The pictures are so gorgeous! What a wonderful backyard!! 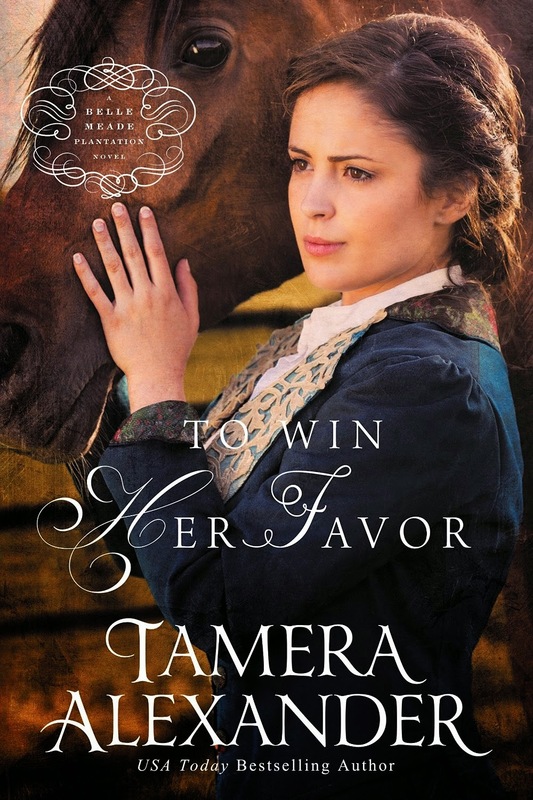 I am reading one of Tamera's novels right now and loving it! 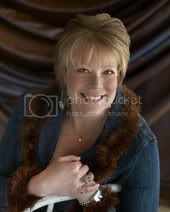 First, thank you, Deb, for hosting this site. I love getting glimpses into other peoples' gardens, and getting new ideas for my own. Joe and I worked outside some yesterday, planting pots and weeding and deadheading. It rained again last night (the drought is definitely OVER here in Nashville!) and I look forward to heading out there again to write as soon as things dry off. I turn on my iTunes playlist (Writing Music) and I'm into the zone. Thanks to everyone for the kind comments on my books. 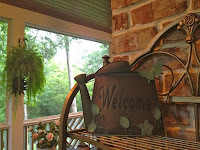 I wish I could have you all over for coffee this morning and to visit, to get to know each other better. I love hearing your stories and getting glimpses into your lives. 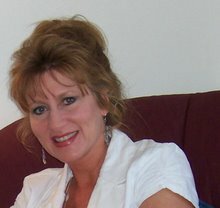 My current website giveaway is for five copies of REVEALED, so if you haven't read that book and would like to (or have read it but would like to send "your copy" (if you win) to a friend), but sure and stop by www.tameraalexander.com and click CONTEST and sign up! No obligation. Just my way of saying thanks. Hey Great view from the "inside." I met someone through a friend on Saturday who asked if I knew an author, then gave your name. She said you were somehow kin to her because one of her parents is a cousin to one of yours. Of course, I told her I knew you and loved your writing. She hadn't tried any of your books, but I think she will now. Growing up in Michigan screened porches were a daily destination to be enjoyed minus bugs. For some reason my husband can't see that a porch in Colorado is such an important place. The memories from my childhood of games and family visits on that porch in Michigan are treasures always. Love your space in the open. I so agree, Jen! 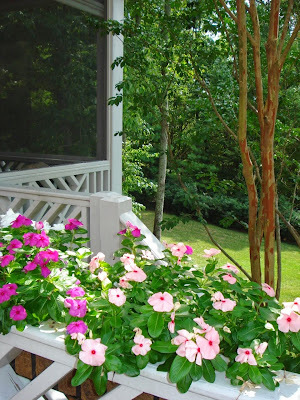 I remember making ice cream on my granny's porch and hold such fond memories of our times there. And you're right, they're such a haven from the bugs. Blessings and thanks for visiting!